Who are your best producers? Salespeople or order takers? Which one do you need and how can you tell the difference? What would you consider the person at your local Starbucks, a salesperson or an order taker? They manage a business exchange between customers and the store, but they still primarily take orders. Is the associate who up sells a salesperson, or still an order taker? This type of sales confusion can make it difficult to seek and hire the appropriate sales professional. It’s often challenging for an employer to differentiate the roles, and also challenging for sales reps to properly label themselves. Know what you need, before you hire. The order taker waits for contact from the buyer and the buyer dictate the sale. They respond to RFQ’s and react to requests. The order taker is directed by the customer, and sells in the present. They are proficient at reciting product features and how the purchase can benefit the buyer. They are advocates for the customer and what the customer demands. Order-takers are able to handle a large amount of calls quickly and efficiently. Essentially, the order taker doesn’t even have to sell; their objective is to close the deal and move on to the next call. A salesperson searches for prospective customers, it takes skill and confidence. They focus on their customer’s needs and in developing a relationship. The customer is engaged in the sales process and the salesperson impacts the buy. 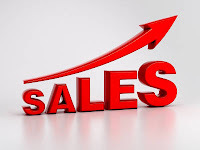 A salesperson has a selling strategy, often selling months in advance. They plan for the future of the customer and the company, looking beyond the here and now. The salesperson is continuously prospecting, and a top performer will earn a fruitful living in any economy. Recognize the difference between an order taker and a sale maker, determine the type of calls and leads you are receiving before you decide on which type of professional to hire. Many order takers try to pass themselves off as salespeople. Make sure you have a thorough selection process. A good salesperson can change the course of your business while an order taker opts for the path of least resistance. There is a station and a role for both types in the sales field, but hiring the wrong personnel can prove discouraging and costly.